Obituary for Tunya Rena Evans | Beach Funeral & Cremation Services, Inc.
Tunya Evans, 61, of Fort Mitchell, AL , passed on February 3, 2019 in Virginia Beach, VA.
Funeral service will be 1:00 pm EST, Monday, February 11, 2019 in the C.T. Chapel of Taylor Funeral Home, Phenix City, AL with Bishop Thomas Blue officiating. Interment will follow at the Ft. Mitchell National Cemetery. Visitation will be Sunday, February 10, 2019 from 1-8 p.m EST. 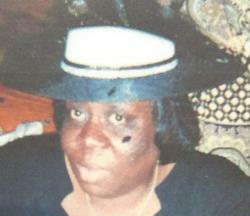 Mrs. Evans was born on April 11, 1957 to the late Mildred Green Mcghee and the late Ronald D. Green. She was a care provider for multiple children throughout her life as well as a home maker. Her survivors include her husband Carvis Sr.; three children, Sonya, Carvis Jr. (Felicia), Dominic Sr. (Linnora);12 grandchildren Sasheanna, Antwoine, Carvis III, Maliya, Dominic Jr., Chante, Destinee, Nasir, Daihja, Yaseen, Nyeem, and London; one sister Sonay Talley; one brother Ricardo Johnson and a host of other relatives and friends.